From kosher wine to their ties to the liquor trade in Europe, Jews have a longstanding historical relationship with alcohol. But once prohibition hit America, American Jews were forced to choose between abandoning their historical connection to alcohol and remaining outside the American mainstream. 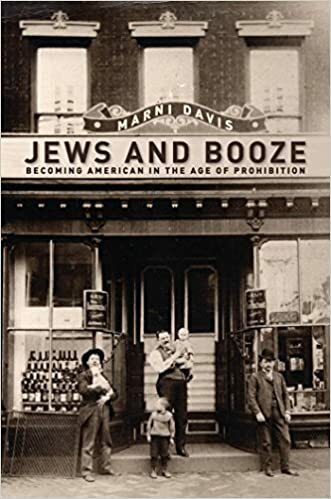 In Jews and Booze, Marni Davis examines American Jews’ long and complicated relationship to alcohol during the late nineteenth and early twentieth centuries, the years of the national prohibition movement’s rise and fall. Bringing to bear an extensive range of archival materials, Davis offers a novel perspective on a previously unstudied area of American Jewish economic activity—the making and selling of liquor, wine, and beer—and reveals that alcohol commerce played a crucial role in Jewish immigrant acculturation and the growth of Jewish communities in the United States. But prohibition’s triumph cast a pall on American Jews’ history in the alcohol trade, forcing them to revise, clarify, and defend their communal and civic identities, both to their fellow Americans and to themselves.